If you tend to crackflash often, then you probably use Titanium Backup and you’d want to know the easiest way to back up your SMS/MMS as well as your call log. These items are not retained when you go from rom to rom nor are they backed up when doing a user data backup in Titanium Backup. Here’s how you can do it on a set schedule so you never forget. On the next combo box that says “No filtering”, click the arrow to pull down a menu. You should see your label you created. Select your label. 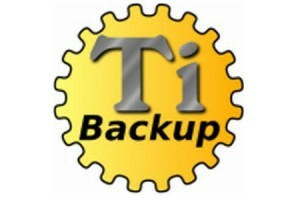 Now Titanium Backup will automatically backup your messages at the specified time and day or days. When you are ready to restore on your new rom, just search for Dialer Storage and Contacts Storage and restore the data only. Perform a reboot and you should have everything back. Just be careful when going from major OS version updates (ex: Gingerbread to Ice Cream Sandwich). You may encounter some weirdness, so be prepared to restore a nandroid or reflash if something doesn’t take right.